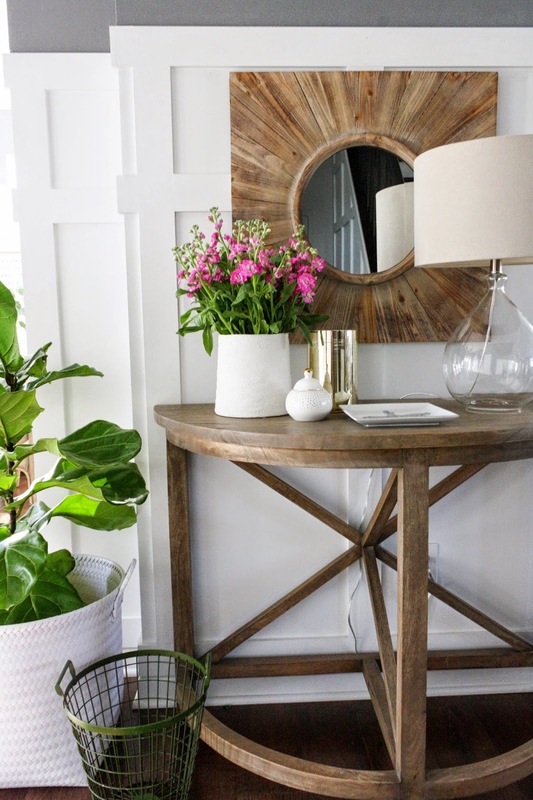 Do you have a DIY project that you started awhile back but then this little thing called life got in the way and well, its still sitting there unfinished? I can relate. I think my problem is that it was the coldest, longest winter in the history of all winters! This is most likely said by me every spring but I swear this past year was the worst of them all. Well, because I have absolutely no desire to ever be cold and using paint thinner in my basement isn't something I want to do, I decided that a DIY project wasn't at the top of my list. My husbands list is another story! He's the guy that does all the BIG stuff...kitchen remodels, wood flooring, trim work, etc. etc. while I handle the smaller stuff like furniture and painting. So you may be wondering where this is going? I will say that I was pretty tickled that she asked me to join. 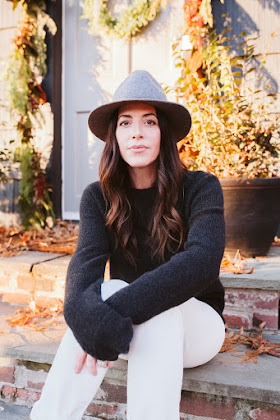 I don't know about you all but I have been following these ladies blogs for so long that they are kind of like celebrities to me! Seriously! So after years of reading these blogs and being blown away daily by the talent happening there I had that "Oh my goodness, you want ME to do this with you?" moment. That was followed up with "Oh yikes, what am I going to do?" So I started looking around this place and it didn't take me long to figure it out. Have I ever showed you this? 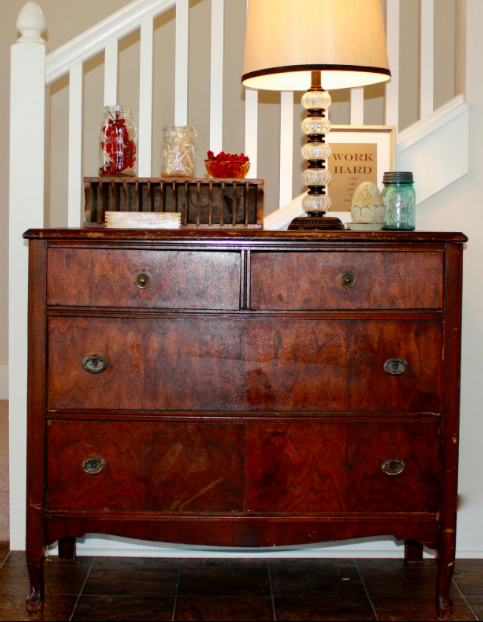 Waaaaay back when, I wrote a little blog called Two Little Bugs Clothing where I did a little DIY to this dresser. Its funny how I can look back and see the progression of how my blog slowly started to change from clothing design to interior styling. 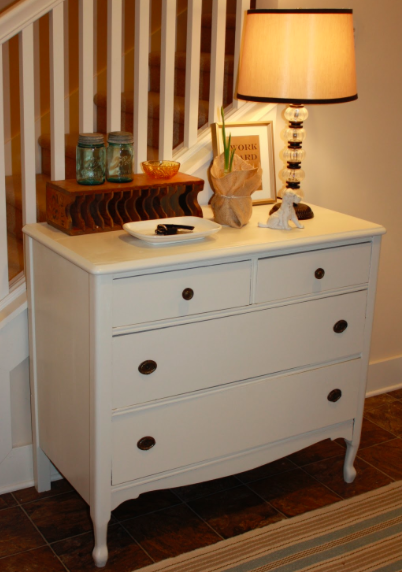 I purchased this dresser at an auction for like $6, I think, and I wanted to make it new again, so I did what everyone did five years ago...I painted it, white! The dresser has moved around a little but now its just sitting in my garage looking all sad and wondering what's going to happen to her! I think she deserves to makeover (yes, I sometimes refer to my furniture as him and her) and so that is exactly what she's going to get! 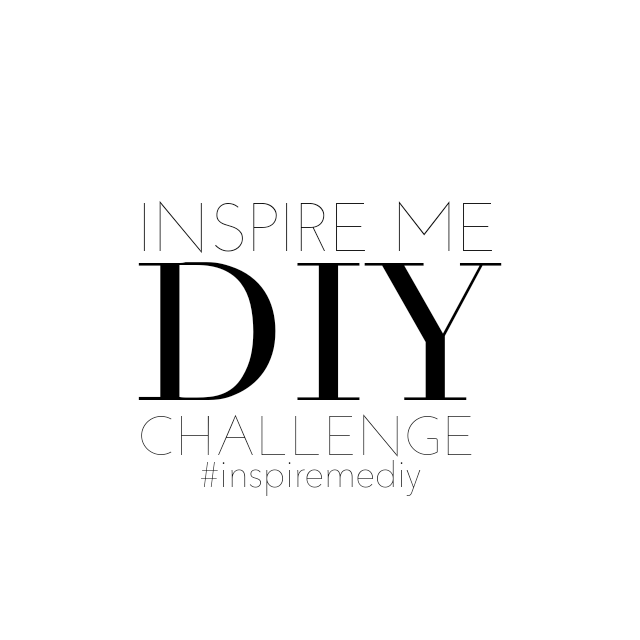 #INSPIREMEDIY on Instagram to see all the fun projects that I hope will motivate you all to get some of your own DIY finished and use the hashtag so we can see them too! Then check back with me on Monday 4/27 here and on Instgram for the big reveal!! I can't wait! 1 comment on "INSPIRE ME DIY CHALLENGE "